Family in Decline: How Should Christians Respond? As Christianity loses influence in the West, and as culture corresponds by taking its cues from the idols of hedonism, it can be easy to forget that most of these challenges are not new. In an article for Leadership Journal, Ryan Hoselton highlights these recurring “crises,” pondering what lessons we might learn from Christian responses of ages past. 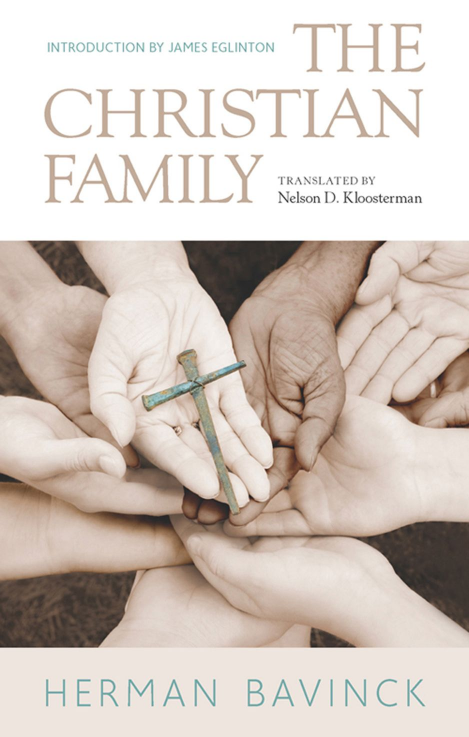 On the topic of family, and more specifically, family in decline, Hoselton points to Herman Bavinck’s The Christian Family, which takes aim at the range of threats to the family and how we (the church) might counteract the social drift. “There has never been a time when the family faced so severe a crisis as the time in which we are now living,” he writes, describing everything from divorce to sexual immorality, human trafficking to infanticide. The book was written in 1908, but do these problems sound familiar? The modern church faces slightly different challenges, of course, whether due to mundane cultural forces, the sexual revolution, recent legislative acts, or otherwise. But the proposed Christian responses remain rather typical: we fortify against it, dominate towards it, or shrug our shoulders, bust out the white flag, and accommodate to the whims of the cultural status quo. Yet in the Economy of the Love, as with all other spheres of creation, Christians can bear faithful witness from the bottom up, seeking to serve our captors first and foremost through the simple yet transformative power of our families. We are to engage culture from our particular position of exile. …Bavinck stressed the reason God created the family in the first place: to reflect the relational dynamic within the Trinity, a fellowship, each member complementing the others to fulfill its unified mission. Since the family is likewise a “full and complete fellowship,” the purpose of husband and wife is to mirror the goodness, covenantal devotion, beauty, and sacrificial love of the Trinity by serving, honoring, and savoring the other. In wedding ceremonies and marital counseling, church leaders can actively promote thriving, God-honoring marriages by urging spouses to enjoy each other, seek the other’s welfare, and cooperate in mutual goals. Rather than blaming social evils for the failure of families to live up to that purpose, Bavinck helps congregants see how their personal sins of selfishness, lust, greed, pride, disbelief, anger, and hate undermine our best attempts. Guiding a couple through passages like Ephesians 5:22-33, a pastor can lead families to see the sin in their marriage that undermines self-sacrificial love, support, and respect. Cultural tensions and policy disagreements will remain, and those struggles are well worth engaging. But before any of that even begins or proceeds, we have the ability to steward our families with love and obedience, not to please ourselves or build a personal fortified kingdom, but to offer them up to the world. This occurs in the everyday, mundane struggles of the home, but when paired with the power of the Gospel, that love shines a magnificent light amid a culture strewn by the wreckage of broken covenants and disordered desire. Wherever we find ourselves, whatever the mess our families are in, let us remember Christ, who entered into that mess, into that exile, not to condemn it, but to bring life. Family is the first and foundational ‘yes’ to society because it is the first and foundational ‘yes’ to our nature — to pour ourselves out like Christ, to be gifts, to love. So let us love in all the little ways that will bear fruit in the next generation. Let us be generous with our life. For more, see The Christian Family and For the Life of the World: Letters to the Exiles. Motherhood: The World’s Toughest Job?